Welcome to our website “astrooger.lk !~ . 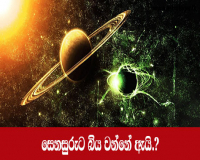 Now you have the great opportunity to get the services of expert Sri Lankan astrologers ! Just forward your date ,time and the place of your birth ! We do not use any software for this., Our astrologers can offer you solutions to your problems in your life, and find the favorable or unfavorable period for any activity you want to commence. Out expert astrologers will study each horoscope on its own , analyze the planetary effects according to your time of birth as well as the planetary movements at the required times. Our detailed reading, with special reference to any matter you want us to refer, will be sent to you via e-mail to you. There are many other areas in which our astrological services can help you. There is no problem in this world which is without a solution. But the solution has to be found out through the analysis of the problems and the environment around the problem. We can offer you the solution to your problems whatever they may be. Analyzing the planetary effects on a person’s life by an astrologer is said to be “ reading” a horoscope. A good astrologer can read a horoscope and tell you the favorable as well as unfavorable planetary effects on your life and advise you how you should “manage’ your life to make it safe and happy. A horoscope is just snap shot of the planets in the sky at the time of a person’s birth. That will indicate the position where each planet is placed in. Our sky, called the zodiac – is divided into 12 parts – and each part represents a group of stars called “constellations” . Each part is represented by a sign – zodiac sign - like the lion, the goat, etc. In Indian or Vedic astrology, which is followed in Sri Lanka, each such part or constellation is called a “Rashi” . Every day the sun passes through the twelve Rashis. The zodiac sign or the “Rashi” which the sun is passing through at the time of one’s birth is called “ Lagna”. The horoscope is divided into twelve parts each representing a “Rashi” or the zodiac sign. Each such part in the horoscope is called a “House” or “Bhava’”. The planets also move through zodiac signs. There are seven planets( grahas) and two axis points of the Moon called “Rahu and Kethu “ ( northern lunar mode and southern lunar mode) whih although they are not planets are usually counted as planets.. These nine planets are marked in the horoscope against the relevant “Rashsi” . The position of the Sun in the zodiac at the time one’s birth is called “Lagna”. Therefore a horoscope has a “ Lagna”, and twelve houses , marked within the twelve houses according to the positions of the nine planets at the time of one’ birth. The Lagna and the planets influence one’s life both according to the position of planets at the time of birth as well as the position of the planets at different times in the person’s life. The analysis of the horoscope can indicate the general planetary effects on your life based on the horoscope cast at the time of your birth. As indicated earlier the planets don’t remain still ; they keep on moving- transiting.. Accordingly planetary effects on a person could be different at different times. Therefore what you should do and what you should not do at any particular time /period depends on the planetary positions at that particular time/period as well as the planetary positions at the time of your birth.. An astrologer therefore can advice you on the best possible course of action you should take towards your education, employment , marriage, purchasing property, launching new activities or expanding your existing business etc. If there are favorable effects, he will advise you how you can sustain the favorable planetary effects. If the effects are unfavorable, he will advice you how to mitigate them or required actions to neutralize them Therefore if there is an impending danger, with astrological advice, you will be quite ready in advance how to meet the challenge. It is always better to be ready to face the future with confidence rather than having events to be taken by surprise. 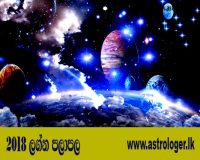 Astrologer.lk අපගේ වෙබ් අඩවියට පිවිසෙන ඔබ වෙත, ශී‍්‍ර ලාංකික දක්‍ෂ හා ප‍්‍රවීන ජ්‍යෙතිර්වේදින්ගේ සේවය ලබා ගැනීමේ අවස්ථාව දැන් ඔබට උදාකර ඇත. 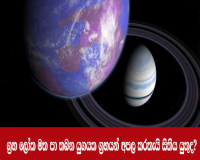 අපගේ ජ්‍යෙතිර්වේදින් වෙත ඔබගේ ජන්ම තොරතුරු ඉදිරිපත් කිරීමෙන්, ඔබගේ ජීවන ගැටඵ, ශූභ අශූභ ආදිය ස`දහා ප‍්‍රායෝගික ප‍්‍රතිඵලදායක විසදුම් ඉදිරිපත් කරන අතර, මේ සදහා පරිගනක මෘදුකාංග භාවිතා නොකරන අතර, ඔබගේ ජන්ම පත‍්‍රය, අපගේ ජ්‍යෙතීර්වේදින් විසින් විශ්ලේෂණය කරමින් පලාඵල විස්තරය ඔබවෙත ලබා දෙනු ඇත. ඔබගේ ජන්ම පත‍්‍රය හෝ පලාඵල සටහන ඔබගේ විද්්‍යුත් තැපෑල (E-mail) වෙත එවනු ලබයි. කේන්දරය යනු අන්කිසිවක් නොව පුද්ගලයකු උපත ලද මොහොතේ උපන් ස්ථානය කේන්ද්‍ර කොට ගෙන, ආකාසේ දිස්වු ග‍්‍රහයන්ගේ පිහිටීම වේ. ඒ මොහොතේ උදාව පැවති ලග්නයට අදාලව ග‍්‍රහයන්ගේ පිහිටීම එහි සටහන්ව ඇත. උපන් මොහොතේ මෙම ග‍්‍රහ පිහිටීම, ජ්‍යෙතිශයට අනුව කෙනෙකුගේ ජීවිතයට විශාල බලපෑමක් කරන අතර, මෙම ජන්ම පත‍්‍රය විශ්ලේශණය කිරීමෙන්, ජ්‍යෙතිර්වේදියෙකුට ජන්ම පත‍්‍රය හිමියාගේ ජීවන තොරතුරු ප‍්‍රකාශ කළ හැක. මේ ආකාරයට ජන්ම පත‍්‍රය පරීක්‍ෂාකිරීමෙන් කෙනෙකුට ඉදිරියෙදි පවතින ශූභ-අශූභ පිළිබ`දව, අධ්‍යාපනය, රැුකියාව විවාහය පිළිබ`දව හෝ වෙනයම් කරුණක් පිළිබ`දව කලින් දැනුවත් වී ජිවිතය ඒ ආකාරයට කලින්ම සකස් කර ගැනීමෙන්, අනපේක්‍ෂිත කරදර ආදියෙන් තොරව ශූභඵල ලැබිය හැකි අවස්ථාවලදි, ශූභ ප‍්‍රතිඵල ලබාගෙන ලද ජීවිතය සාර්ථක කරගැනීමේ හැකියාව පවතී.